Anita "Durt" O'Shea, Paolo Flores Chico, and Ali Scott of Ships in the Night. In 2006, close friends Paolo Flores Chico and Durt O'Shea were taking shots of a mysterious green liquor at the Gangway, an iconic gay bar in San Francisco's Tenderloin district, when they began drunkenly joking about producing a dance party. To their surprise, the bar manager agreed to let them do it. That evening would give shape to one of the Bay Area's longest running queer dance parties Ships in the Night. After a series of noise complaints, crew members were kicked out of the Gangway. But they've recently found a permanent home at The New Parish in Oakland. Ships in the Night is a multilevel dance party with an emphasis on QTPOC (Queer Trans People of Color) performers, artists, and vendors. It's a space for queers to cruise, dance to some of the best Top 40, and celebrate the beauty that is the LGBTQ+ community. Because the organizers — which include Chico and O'Shea, plus Antoinette Chen, Taylor Hodges, and Ali Scott — are part of a larger network of nonprofit employees, organizers, and activists, it was important to them that the party provide a space for these folks to come together. "From the very beginning we wanted to have a place where activists and people who were into social justice issues could come and dance," said O'Shea, who was a member of Radical Women, a group that focuses on women's issues, queer rights, and immigrant rights. "We also wanted to throw a fun party that gave back to the community." The majority of the proceeds from their first Saturday events are donated to various collectives and social justice groups, including TGI Justice Project, El/La, Bay Area Girls Rock Camp, Radical Monarchs, Peacock Rebellion, Critical Resistance, Just Cause/Causa Justa, St. James Infirmary, Topsy Turvy Queer Circus, SF Dyke March, and Queer Rebels. Thus far, they've raised about $65,000. Ships in the Night is the embodiment of queer nightlife as radical resistance. It holds space for queer and marginalized bodies to come together in celebration of their beauty, creativity, and inalienable right to exist. This is especially important given our country's current climate of anti-immigration and transphobic legislation, the continued murders of trans women of color, the continued public murders of black and brown bodies, and the rise of white supremacist and neo-Nazis. Ships in the Night is also a queer space that intersects the political and personal. "You can't simply call a party 'queer'; there's actual work you have to do make a space welcoming, inclusive, and safe for queer people," writes Rose Dommu in a recent article for Thump titled, "A Party Has to be More Than Gay to Qualify." At Ships in the Night, this concept manifests in the organizations they donate to and the QTPOC DJs, performers, and artists they hire. 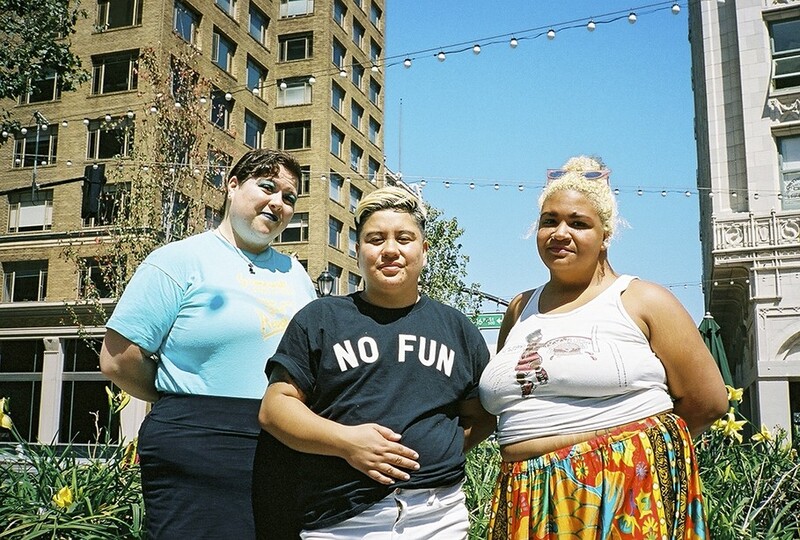 The crew does a lot of work to ensure the space is inclusive and safe for queer bodies. They advise security and bar staff around gender diversity and ways to avoid misgendering folks. They prioritize de-escalation, they don't call the police, and they often remind their crowd to be vigilant and to look out for one another. "Just because we say it's queer doesn't make it," said Chico. "We bring in the problems of the world, too. It's as safe as we can make it. We want it to be a space where folks are supporting and looking out for one another." Not only have the organizers of Ships in the Night successfully held space for queer and marginalized folks and raised money to support their community, but they've also set a standard for queer nightlife in the Bay Area. And they throw a very fun party.